With the new Nikon D5 likely to make an appearance at CES the first sightings and specification rumors are coming thick and fast. As a high-end professional camera, being released in an Olympic year, photographers know pretty much what to expect. Whilst there may be a few surprises, the Nikon D5 is going to have a high sensitivity, fast frame rate, super fast AF and be weather sealed. There are already plenty of rumours about the specification of the camera on the internet, but what is more open for discussion are the details for its video features. Nikon was the first manufacturer to introduce video in a DSLR camera, with the Nikon D90 in 2009. It impressed further still when it combined video with the high sensitivity sensor in the Nikon D3S. Here was a camera that every photojournalist wanted. Not only did the incredibly low noise mean that press photographers got the still images they wanted, they could now shoot HD video for websites and broadcast too. However, with the Canon EOS 5D Mk II setting the enthusiast video market alight, Nikon lost the initial tide quite quickly. Whilst Nikon has offered some solid video capable DSLR cameras, notably the D810, which produces very clean 1920 x 1080p video at upto 60fps, the company has to go some way to compete with the Canon, Panasonic and Sony cameras to recapture the video audience. With the importance of online video content increasing every day, photojournalists will want one camera that they can use to capture all of the content that they need to produce. The new Nikon D5 need to recreate some of the excitement that the Nikon D3S produced. So what exactly could we see in the Nikon D5? Obviously a lot of the video capabilities are dependent on the sensor and processing components that Nikon decide to use. The jump from 12-million pixels in the D3S to 16 million pixels in the D4 and D4S was very small in terms of resolution, although it did offer around one extra stop of useable ISO sensitivity due to the excellent noise handling. Logically you would expect Nikon to increase the resolution in the D5 to 18, 20 or maybe even 24-million-pixels. This kind of level would only be a slight increase in resolution, but it would still allow for the kind of high-sensitivity, low-noise shooting that photographers, and videographers are used to in Nikon professional DSLR camera. However, there is an outside chance the resolution could be decreased. Sony has shown how successful 12-million-pixel full frame sensors can be with its excellent Alpha 7S and 7S II cameras. In the world of press photography, resolution isn’t everything, especially if a lower resolution could offer cleaner images and video, as well as faster sensor readout times. UPDATE: Leaked images of the D5 appears to show that it will have a 20-million-pixel camera. Traditionally Nikon has had a number of different model cameras in the top of its range. We may see at D5X and a D5S in the next few years, and it could be that one of these is more centred around shooting video, in much the same was as Canon’s 1DX and 1DC cameras. Again, this is something that Sony has done with its Alpha 7, 7R and 7S range of cameras. Whether you think we need 4K video yet or not, it is certainly a feature than must be high on Nikon’s list of priorities. Panasonic and Sony have brought this technology to its consumer level cameras, and Canon have it in its EOS 1D-C and the recent XC10 Cinema camera. Nikon will want to level the playing field. At very least the Nikon D5 should have 4K over HDMI, but it is more likely that it will record 4K internally, with some rumour sites speculating that it may even record 4K at 60fps, which will be a big feature in Nikon’s cap. In-camera slow motion/higher frame rates? The extra processing required to push out 4K video opens the door to capturing Full HD video at faster frame rates. It is likely that we will see the camera shoot at 100/120fps, but it could shoot faster still, possibly matching the recent Sony RX10 and RX100 camera with a 250fps mode, but at full 1080p resolution (the RX cameras natively record 250fps at a slightly lower resolution and upscale it to 1080p, which causes a reduction in quality). 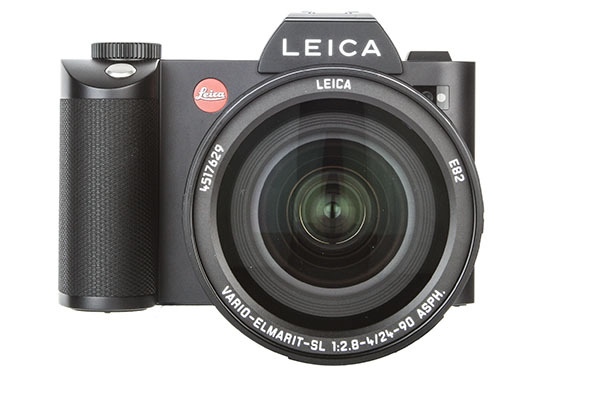 A clean 1080 output over HDMI should be a given at this stage, but if Nikon could match the recent Leica SL (pictured above) by offering 4:2:2 10-bit 4K output over HDMI then it would offer a serious challenge to Canon. The 1D C only offers 8-bit 4:2:2 output over HDMI (as does the Sony A7S II), so 10-bit would be a big deal for videographers, and it would allow for ProRes or 4K raw footage to be recorded from the D5. Will we CES the Nikon D5 at CES? Most likely yes, but quite how it will be seen is the question. In 2014 Nikon showed the D4S at CES, but it was behind glass and there were no further details on the camera available at the time. With leaked information starting to circulate I would imagine that more details will be unveiled at the show, with the official launch probably just before CP+, which is held in Japan between the 25-28th February 2016.